Secure Your IoT Devices on Your Jobsite | CCR, Inc. The Internet of Things (IoT) is quickly becoming an integrated part of the jobsite. IoT devices improve security, increase efficiency, reduce safety hazards, and maximize savings. But the downside is that currently, security on IoT devices is sorely lacking, and as IoT becomes more interconnected across the jobsite, this poses an ever-growing security risk to your construction data. 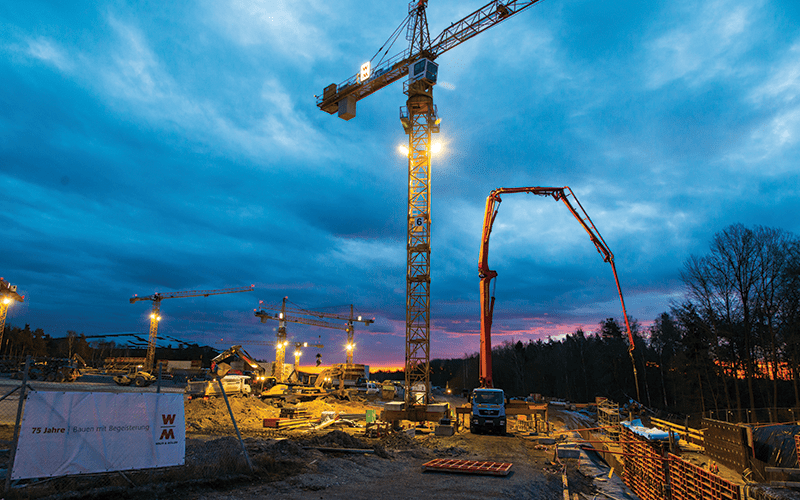 IoT devices and their inherent connectedness are highly beneficial to construction crews. They speed the process of communication, provide crucial in-the-moment insights for project managers, and point out places where unnecessary risk could lead to costly downtime. Integrating these devices with other technology is what makes them so attractive, and unfortunately, what makes them so appealing to hackers. Because devices are so easily connected (and will only continue to get more connected as we look ahead to the future of technology), IoT poses a new risk: an ecosystem of technology as opposed to one network, that communicates beyond just devices owned by one team; those devices can communicate externally, opening more holes for targeted attacks to worm their way in. No longer will network security be viable for protection. All IoT users will need to up their game. According to Fortinet’s article, Understanding the IoT Explosion and Its Impact on Enterprise Security, 25% of enterprise hacks will come from an IoT targeted attack. What’s more, by 2020, it’s predicted that more than 50 billion new IoT devices will be deployed and online. This means that freely moving data between devices will need to be highly secured. With multiple methods of attack being used to crack IoT device security, it will become ever-more critical to have security and monitoring protocols in place. The ecosystem of devices will need security throughout the entire system, instead of just on individual devices or localized to networks. Once hackers enter the ecosystem, they’ll be able to attack every connected device. Reboot your devices regularly. On many devices, the memory is wiped every time they’re restarted, which erases the data stored. More devices are being used for productivity, and as technology continues to advance, your jobsite won’t be able to shy away from IoT devices. The community agrees that the ultimate protection will come from Thing Identity. This process involves identifying which types of IoT devices are trying to connect to a network or ecosystem. They’re then routed to pre-configured, protected network segments, where they’re passed through security. This makes the transmission safer for entry and reduces the possibility of a security breach. Be wary of edge computing, a process that’s designed to speed the communication of data. Traditionally, data has to go to a data center first and then gets pinged back to the device. Some things for safety will need to be immediate, so this creates another hole in security protection. Investing in the right resources is a crucial first step to IoT security. Establishing a secure network to prevent infiltration is the next step. Don’t overlook the dangers of a security breach. The costs to retrieve lost data and recover can devastate a business.